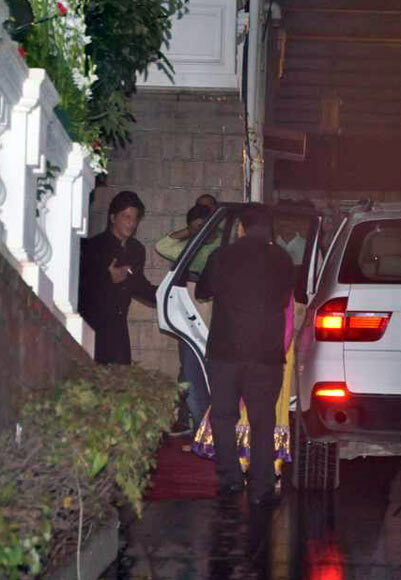 After ushering in Eid with fans and media at his residence in Bandra, a western Mumbai suburb, Shah Rukh Khan hosted a star-studded bash for his filmi friends. 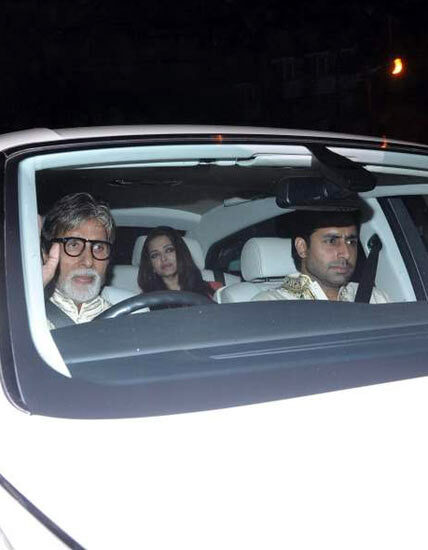 Amitabh Bachchan arrived for the party with Abhishek and Aishwarya Rai Bachchan in his Rolls Royce Phantom. Please click NEXT for more pictures of the guest arrivals. The star host was spotted receiving his guests at the entrance. SRK's Army costar Sridevi turned up with producer husband Boney Kapoor. 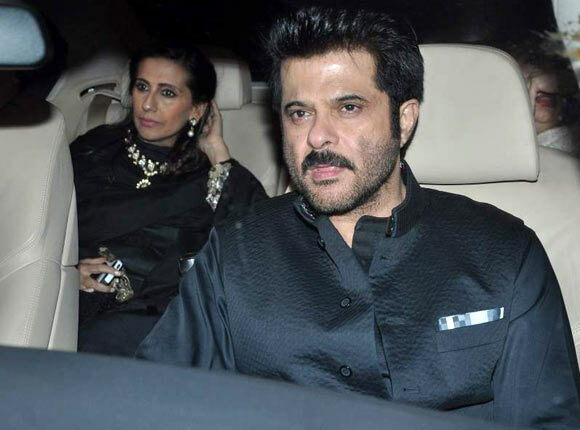 Anil Kapoor was accompanied by jewellery designer wife Sunita Kapoor. 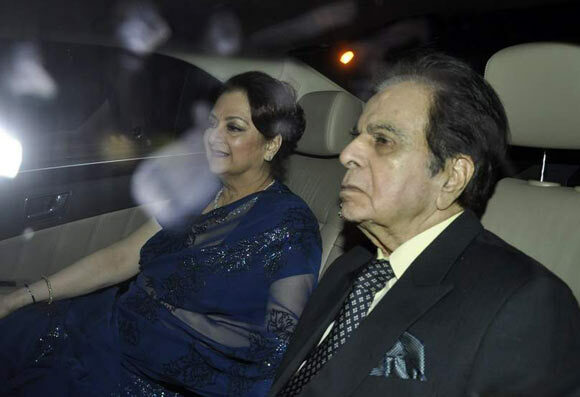 Veteran actor couple Dilip Kumar and Saira Bano were photographed arriving for the bash. Shah Rukh shares a particularly close relationship with Dilipsaab. 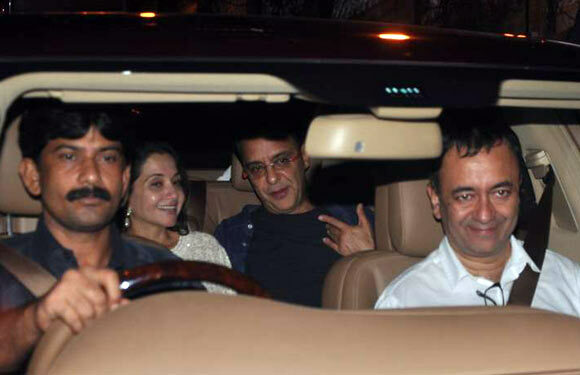 Filmmaker Vidhu Vinod Chopra shares a light moment with wife Anupama Chopra and director Rajkumar Hirani. 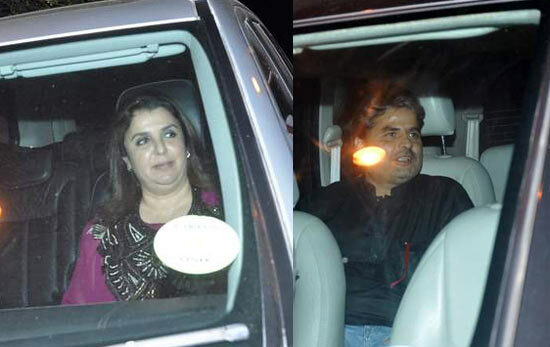 Filmmakers Vishal Bhardwaj and Farah Khan arrive at Mannat. 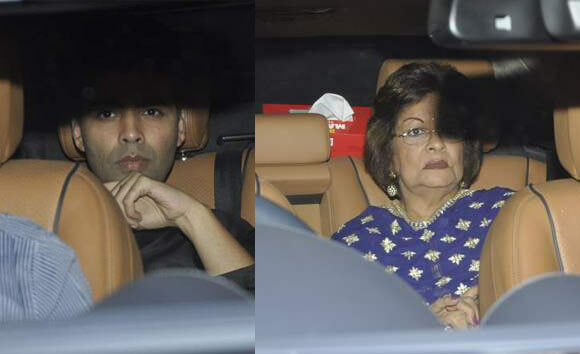 Director Karan Johar was joined by mother Hiroo Johar. Zindagi Na Milegi Dobara actress Kalki Koechlin and director Zoya Akhtar made it to the swish guest list. Madhuri Dixit, who has worked with SRK in many blockbusters, arrives with husband Dr Sriram Nene. 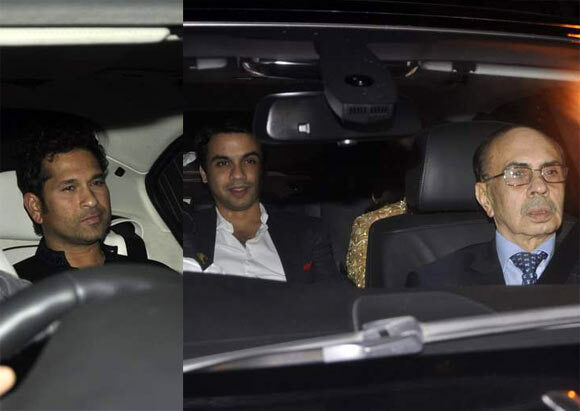 Sachin Tendulkar and industrialist Adi Godrej represented Mumbai's non-filmi A-listers at the high profile party. 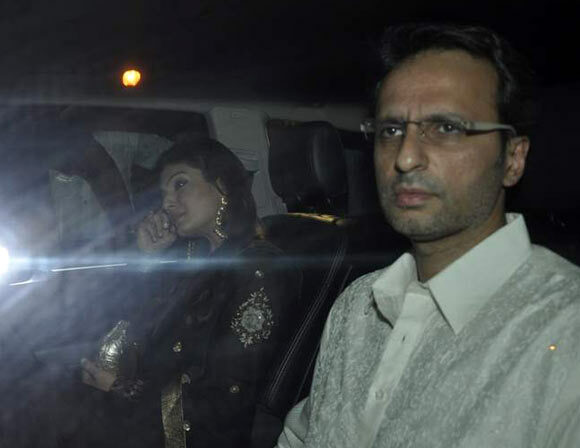 Actress Raveena Tandon, photographed along side film distributor husband Anil Thadani. Krrish 3 actress Kangna Ranaut looked great in her coral outfit. Karisma Kapoor donned a Manish Malhotra outfit for the occasion. Excel Entertainment's Ritesh Sidhwani and fashion designer Manish Malhotra arrive. 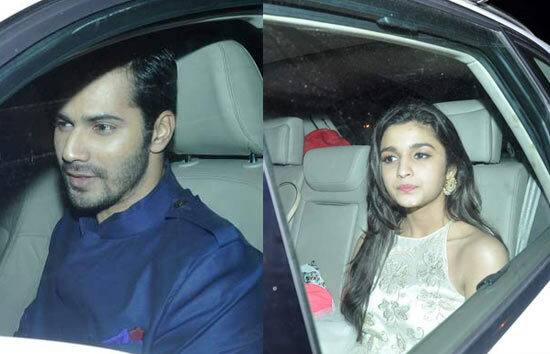 Student Of The Year stars Varun Dhawan and Alia Bhatt arrived together. 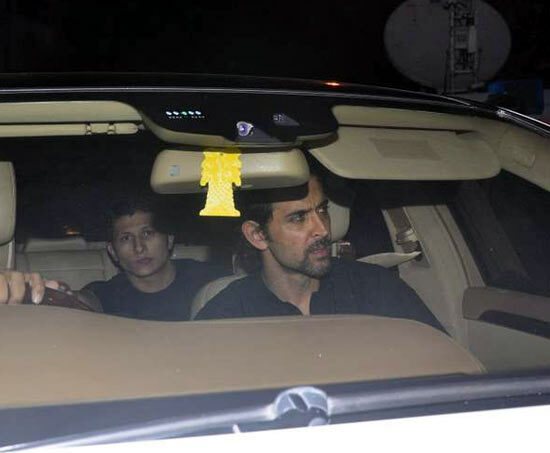 Hrithik Roshan partied with the Khans as well. 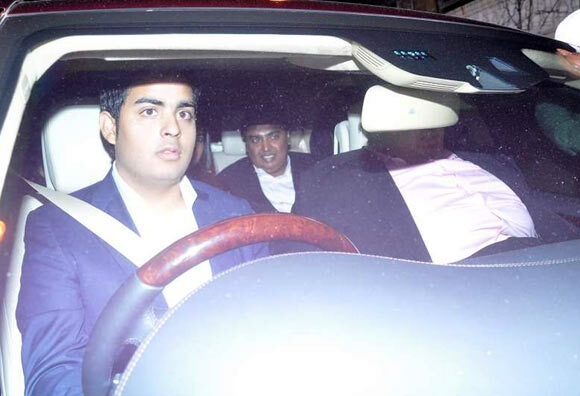 Industrialist Mukesh Ambani arrived with kids -- Akash (behind the steering wheel), Anant (extreme right) and daughter Isha (not int he picture). Lara Dutta and tennis star husband Mahesh Bhupathi were also spotted. 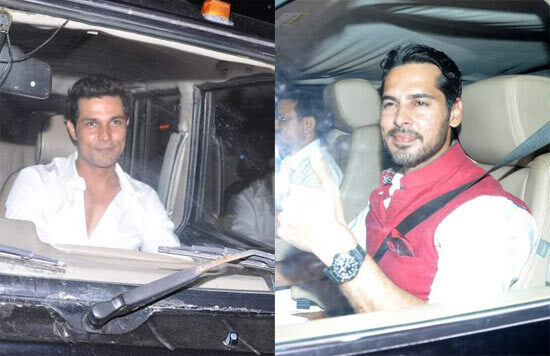 Actors Randeep Hooda and Dino Morea gesture upon arrival. 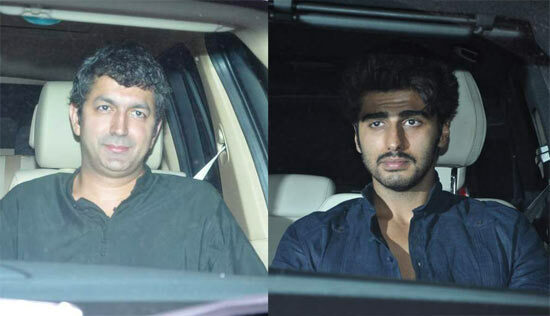 Teri Meri Kahaani director Kunal Kohli and actor Arjun Kapoor's cars pull into Mannat. 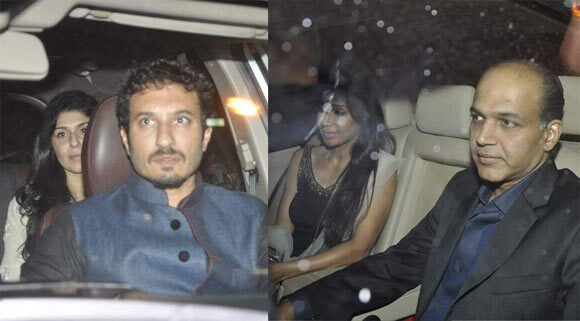 Filmmakers Homi Adajania and Ashutosh Gowariker arrive with their better halves. 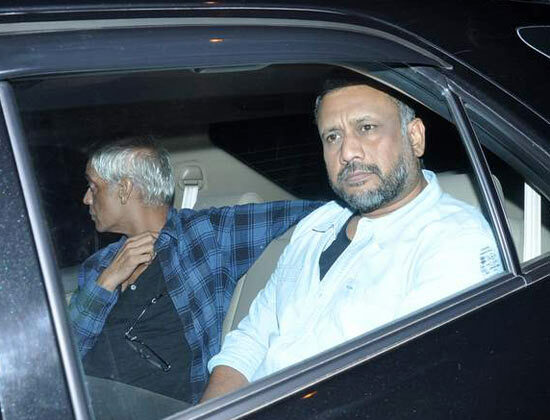 Directors Sudhir Mishra and Anubhav Sinha arrive together. 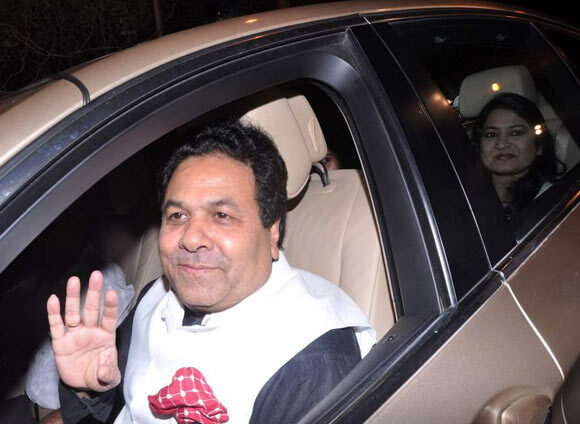 Rajiv Shukla and Anuradha Prasad, close friends of SRK, were also at the bash. SRK's Main Hoon Na costar Sushmita Sen put in a rare appearance. 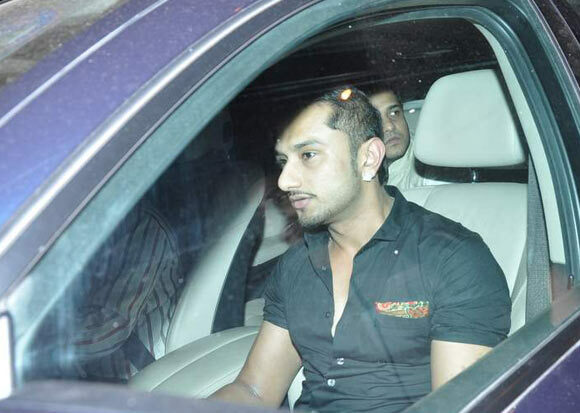 Popular Punjabi rapper Yo Yo Honey Singh, who was roped in for the Lungi song in Chennai Express, arrives. 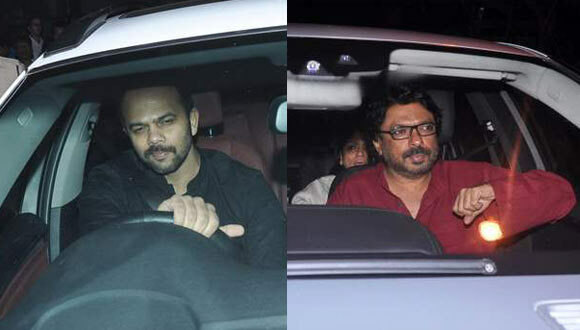 Chennai Express director Rohit Shetty and Sanjay Leela Bhansali. Rowdy Rathore director and choreographer Prabhu Deva waves to his fans. 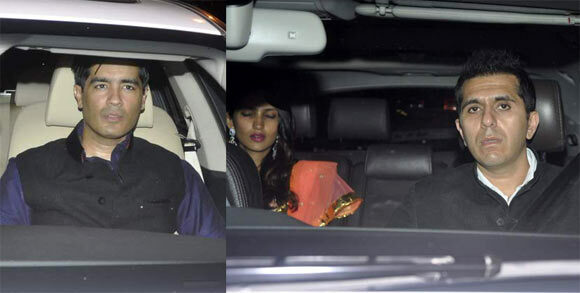 Riteish Deshmukh, Genelia D'Souza and Dheeraj Deshmukh attended the party too. 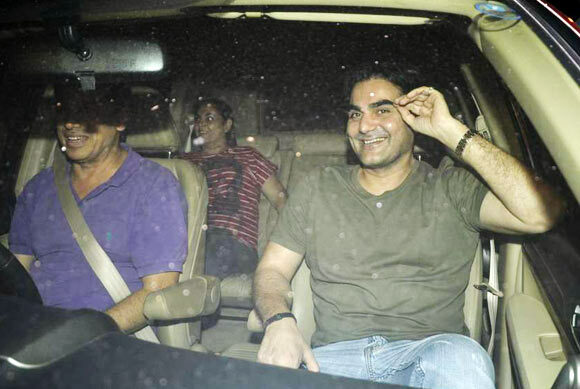 Actor-producer Arbaaz Khan was among the party revellers too. Raja Sen's Chennai Express Review: Chen-nahin!